Statistics and think pieces aside, one fact becomes clearer by the hour: The world’s largest social media platforms will play an increasingly larger role in the digital marketing equation moving forward. As Joe McCaffrey, head of social media at Brooklyn-based agency Huge, put it, “Not a day goes by that I’m not writing or seeing something new” in the social space. The question remains: Which platforms will lead the pack, and how can agencies navigate a landscape that threatens their core business model? Others aren't as optimistic. BlitzMetrics chief technology officer Dennis Yu told Adweek, “Agencies can’t keep up. Facebook plays nice with them, but they still for the most part have a Mad Men-style, interrupt-your-experience mentality.” Yu believes this approach will continue to grow less relevant as consumers’ expectations change and social platforms demand a higher percentage of each client’s marketing spend. New features: One feature of the newly announced Snapchat Lenses will allow brands to promote themselves via users’ “sponsored” selfies—for a mere $750,000 per day—and add features such as heart-shaped eyes and fake cracked phone screens. 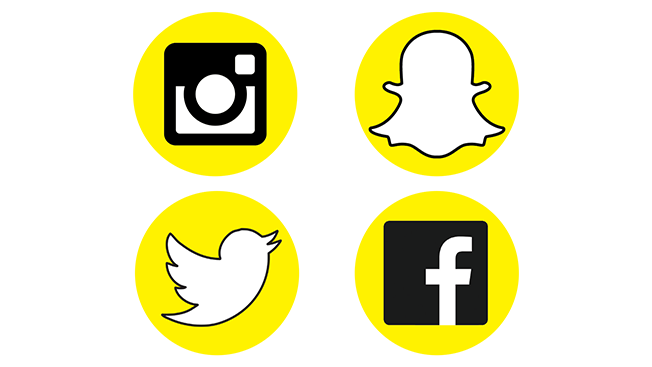 Benefits: Mike Dossett, supervisor of digital content strategy at RPA, said, “If you want to dominate one-day reach, there is no more effective platform.” Big Spaceship’s vp of social media Victor Pineiro told Adweek that Snapchat is very open about its lack of reliable metrics but sells its product as “appointment advertising” akin to broadcast TV. Challenges: The prohibitive cost of Snapchat ad buys—the company charges for microseconds of exposure—and a dearth of metrics have proven troubling for some brands. Yet, the platform’s reach is undeniable, and the scarcity of brands using it makes the products even more appealing. Pineiro said, “[Clients] see it as a shiny object, and they are salivating to work with the platform.” But Snapchat will have to improve its metrics in the future to justify its prices. New features: Video makers learned last week that Twitter expanded its Amplify video program, which will in effect automate the placement of preroll ads. Twitter also unveiled a Moments tab, which seeks to organize users’ often schizophrenic feeds by curating tweets related to recent events and providing an overview of reactions. Benefits: Twitter remains a crucial source of information and breaking news for millions around the world. Effik of R/GA said, “Facebook is where my real friends are, while Twitter is a place for people who I wish were my friends.” High-profile accounts therefore make for reliable ways to distribute thought leadership pieces and/or raise general awareness—especially among media influencers. New features: The platform now offers placements and seamless back-end Facebook integration for all customers. The buy button, introduced in June, also ties Instagram more closely to its parent company six months after the launch of the Carousel multi-image tool. Benefits: Passion. Pineiro said, “It’s the network that users have the most heart for, day to day.” Meanwhile, agency planners praise Instagram’s decision to move carefully in rolling out its advertising product. For example, the company only recently introduced self-service ad buying. Instagram’s new buy button also means more brands will be able to draw a direct line between placements and sales. New features: At the recent Advertising Week in New York, Facebook announced several new products for marketers, including a new ad-buying tool designed to fit into shops’ TV budgets; a video-carousel product similar to that of Instagram, which it owns; and brand awareness optimization, which bases targeting on watch data rather than likes and clicks.